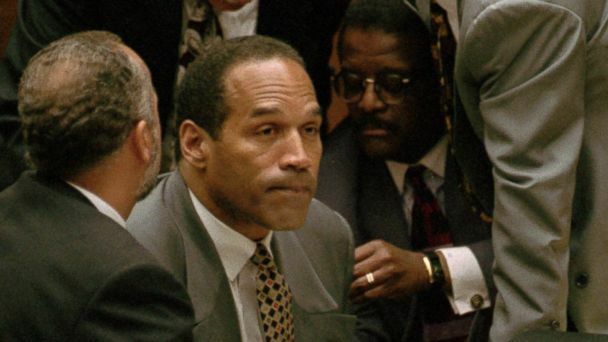 The Los Angeles Police Department is conducting tests on a knife purportedly found at O.J. Simpson's old property after they recovered it from a retired LAPD officer within the past month, the department said. "The story, as it's told to us by the [retired officer] that we received it from," Capt. Andrew Neiman of the LAPD said at a news conference today, was that the officer "was working in the area of the Rockingham estate and he claimed that an individual" who said he was a construction worker gave him that knife, Neiman said. Neiman did not release the year the knife was recovered and did not say whether the LAPD officer was retired at the time of the alleged recovery, but did say he left the force in the late-1990s. Simpson's Rockingham estate in Brentwood was demolished in 1998. LAPD recently discovered the now-retired officer had the knife and the LAPD recovered it in the past month, Neiman said. The LAPD is not releasing details on the description of the knife, Neiman said. The officer is retired so there likely would not be administrative charges, Neiman said. In terms of criminal allegations against the retired officer, investigators will look into whether there is any potential for that, Neiman said. Neiman said the double-murder case is open but, for Simpson, who was acquitted in the killings, "double jeopardy would be in place," Neiman said. Police do not know the identity of the alleged construction worker who found the knife, Neiman said, and the authorities ask that he come forward. Neiman said the story told to police could be accurate, or the "whole story is possibly bogus from the get-go." "We are looking into that," Neiman said, adding that he was shocked by the possibility that a police officer kept such a knife. Attorney Carl Douglas, who was a member of Simpson's legal team in 1995 , told ABC News today that "the story is ridiculous." Douglas is not currently Simpson's lawyer. There have been previous reports of a knife found near Simpson's old home. The Associated Press reported in May 1998 that a construction crew found a folding-blade knife in Simpson's neighborhood but police said at the time that the knife couldn't be linked to the murders. Police Department spokesman Lt. Anthony Alba said at the time that several knives had been found in Simpson's former neighborhood over the past few years but officials did not find any blood or other evidence linking to any crime. On June 12, 1994, Simpson's ex-wife Nicole Brown Simpson and her friend Ronald Goldman were found stabbed to death in front of her Los Angeles home. To date, the murder weapon has never been found. Simpson was charged with the murders. Then on Oct. 3, 1995, at the end of a televised trial that captivated the nation, the former football star was acquitted of all criminal charges. He was found liable for their deaths in a civil case in 1997. Simpson was arrested in September 2007 during a botched robbery in Las Vegas when he led a group of men into a hotel and casino to steal his own sports memorabilia at gunpoint. He was charged with a number of felony counts, including kidnapping and armed robbery. He was found guilty and sentenced to 33 years in prison. He is serving his time at Lovelock Correctional Facility in Nevada.